A graduate of Grace University with a degree in Pyschology, Brandon Ryan is a lifelong martial artist. 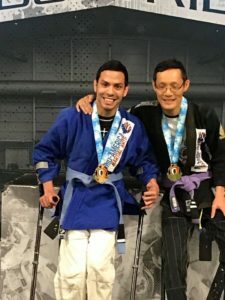 Born with Cerabral Palsy, his organization Adaptive Defense Method boasts a mission to not let anyone feel helpless, regardless of physical limitations, in a situation where they become the victim. ADM builds confidence and empowers others to fight back and escape dangerous situations, no matter your physical capability. ADM has worked with high profile companies such as LinkedIn, Project Harmony, DHHS as well as anti-bullying classes for local schools. 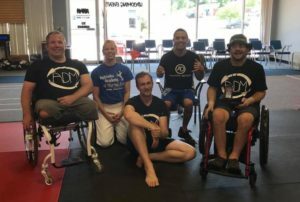 Recently he was invited to the Working Wounded Games in Washington DC to teach self-defense to adaptive cross fit athletes.